We are happy to give you an idea of our breeding test. This test starts by judging the appearance of the dog. 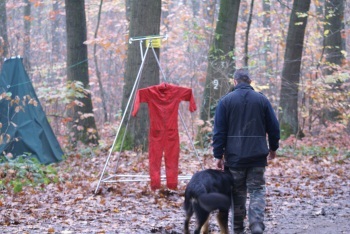 They will look at structure, coat, colour, bite, tail- and earcarriage and movement. the complete assessment will be put on paper. In this part the dog is not allowed to react agressive or extremely scared. At this part his behaviour will already be assessed. 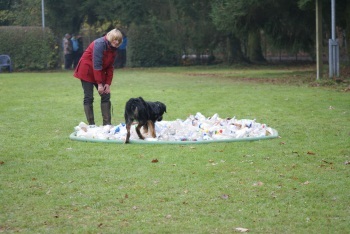 Then there will be several parts in which the judge can evaluate the behaviour of the dog. In this evaluation will be looked if the dog show enough of the original characteristics. 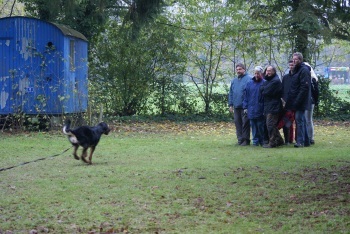 Together with the judge, the owner walks the dog through the various parts of the test. 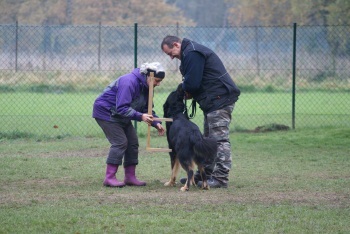 The test starts with a few play situations, some with the owner, others with an unknown person. During this part of the test the dogis not leashed. The rest of the test the dog is on a long leash. During this part, the judge will look for the reaction of the dog in several situations, like in a group of persons or when he meets a strangely behaving person. Also his reaction at a gun shot will be tested. At the end of the test the judge likes to see that the dog is still relaxed enough to play with his owner.